A Stuart man was arrested for trafficking stolen weapons and other offenses. According to the Adair County Sheriff’s Office an arrest warrant was executed on November 2nd for 35-year-old Joseph Lee Reynolds. He has been charged with felonies for possession of a controlled substance – third or subsequent offense, trafficking in stolen weapons – first offense, and misdemeanors for theft in the third degree, and driving while license is denied or revoked. 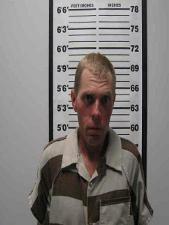 Reynolds was booked and released from the Adair County Jail. He is set to appear at a preliminary hearing tomorrow. Raccoon Valley Radio will bring you more information as it becomes official.